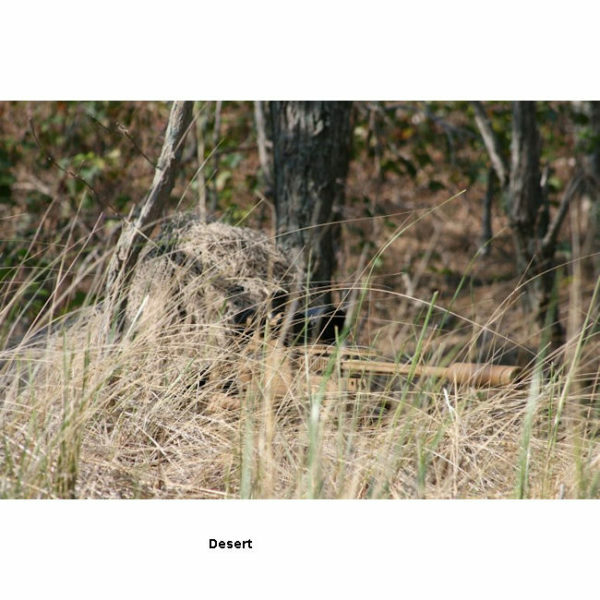 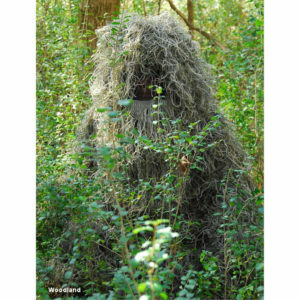 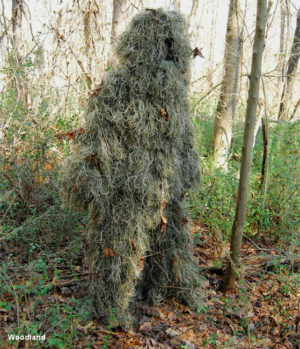 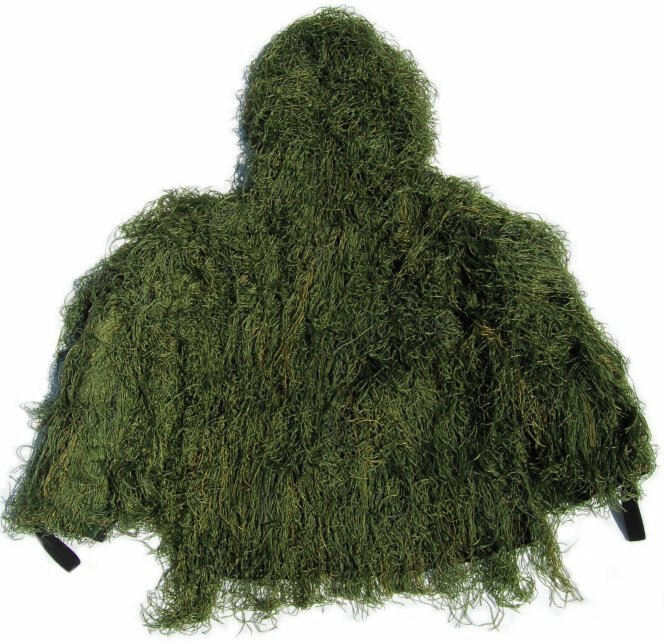 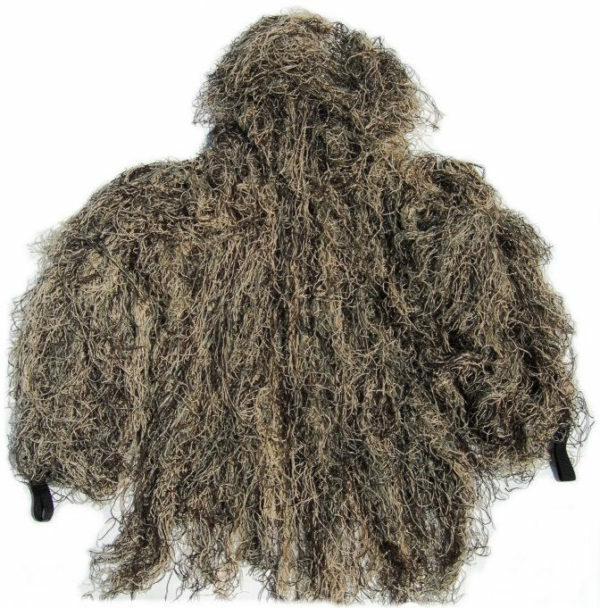 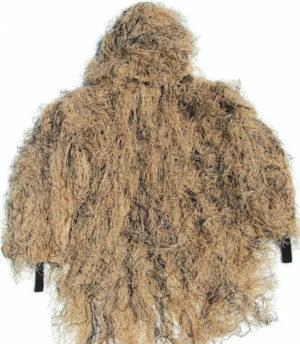 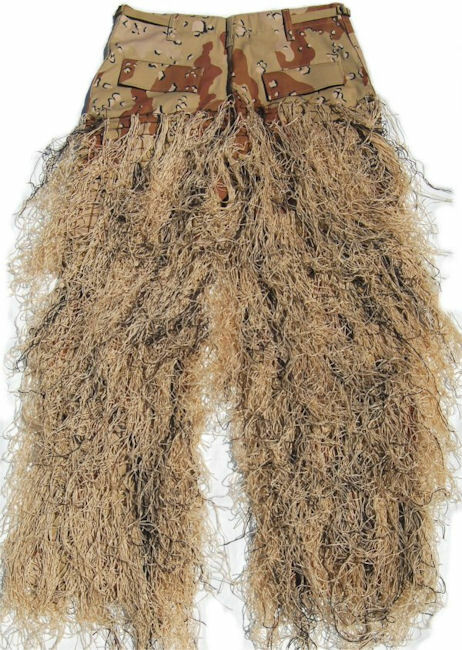 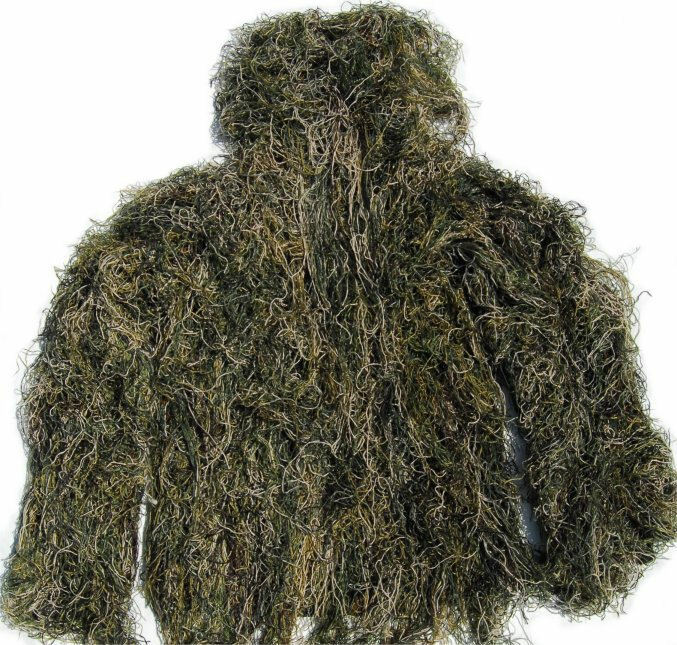 CORDURA Reinforced- the front of the Sniper Ghillie Suit is reinforced with a layer of matching Cordura material. 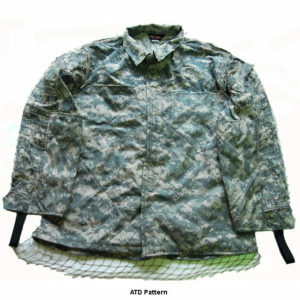 On the front of the jacket and sleeves, we sew a 1000 Denier Cordura Plus fabric. 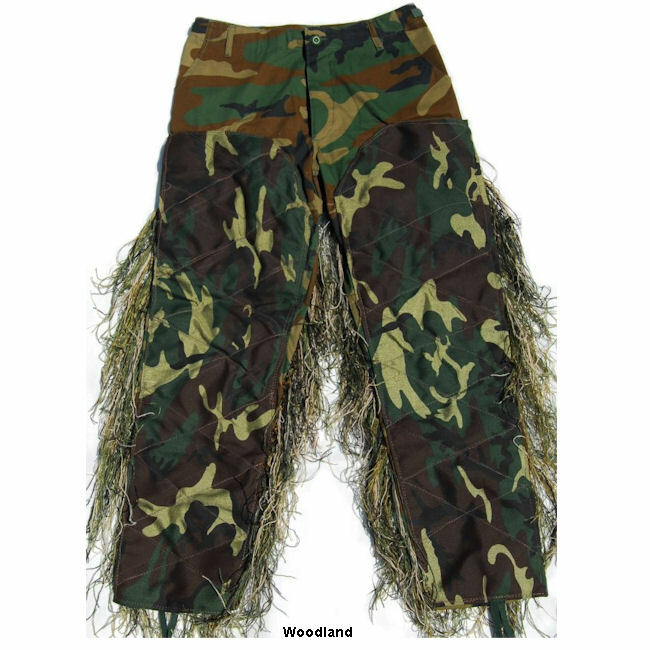 This allows you to slide and crawl on the ground over rocks and through mud with ease. The Cordura has a urethane coating which makes the suit water-proof, so you won’t get soaked when crawling around in wet conditions. 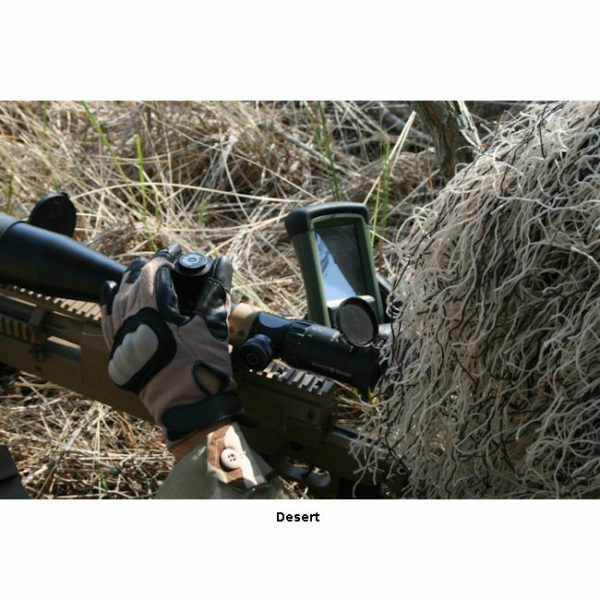 We have attached 1″ wide Nylon straps to the inside of the sleeves as thumb loops, so the sleeves won’t ride up your arms when crawling. 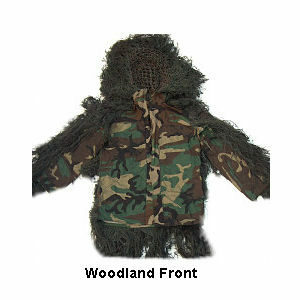 • The front jacket buttons have been removed and Velcro has been sewn on so you won’t feel the bumps when crawling. 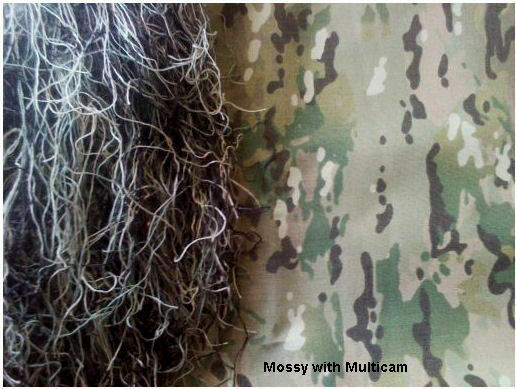 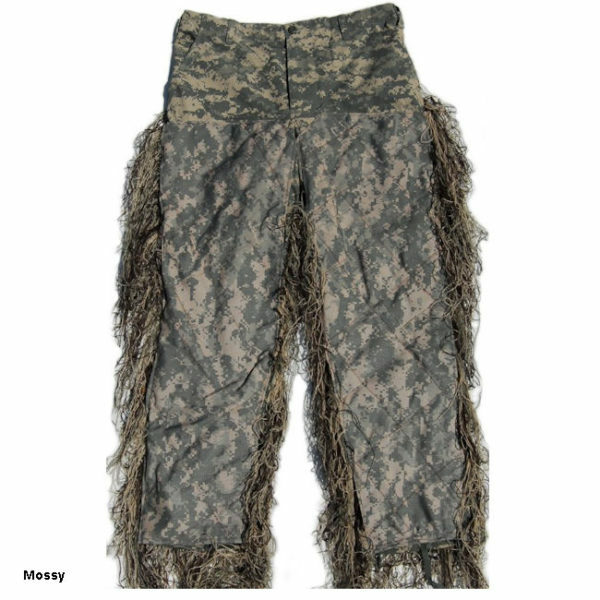 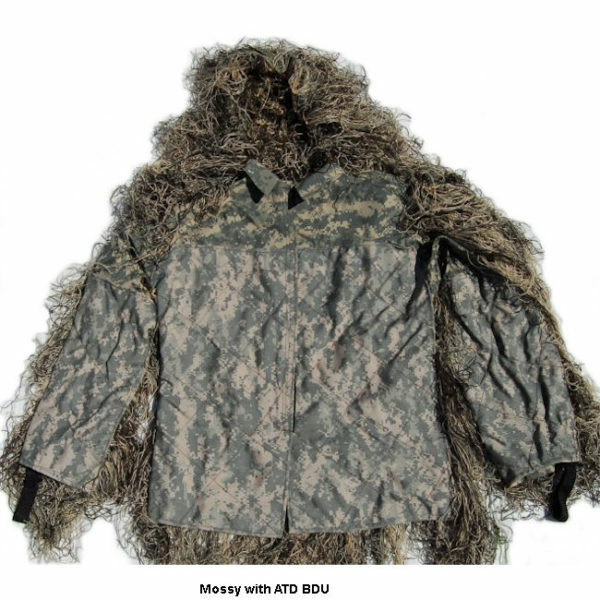 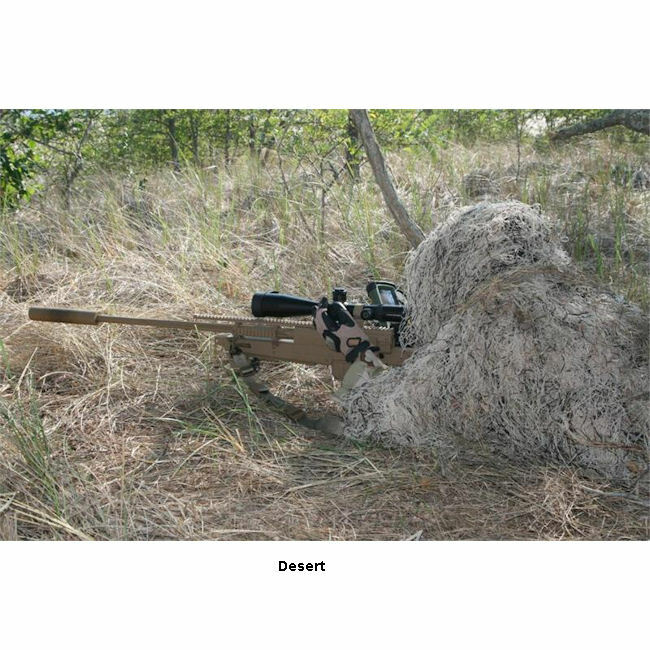 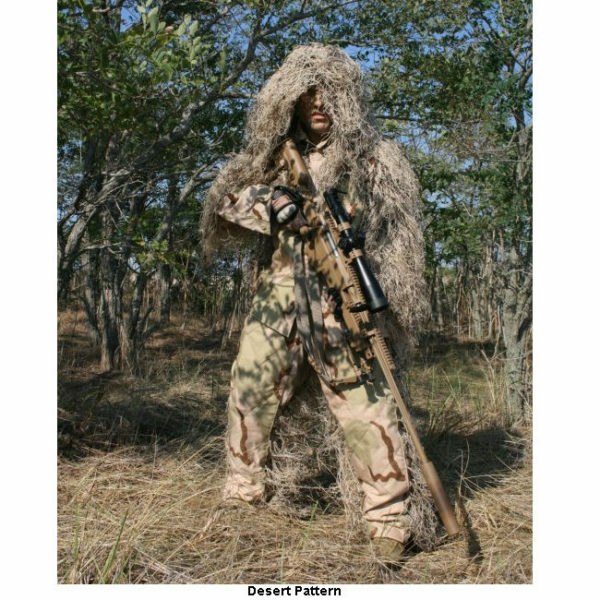 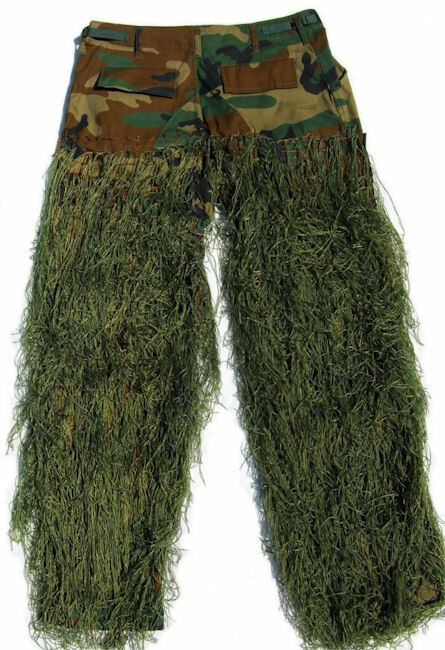 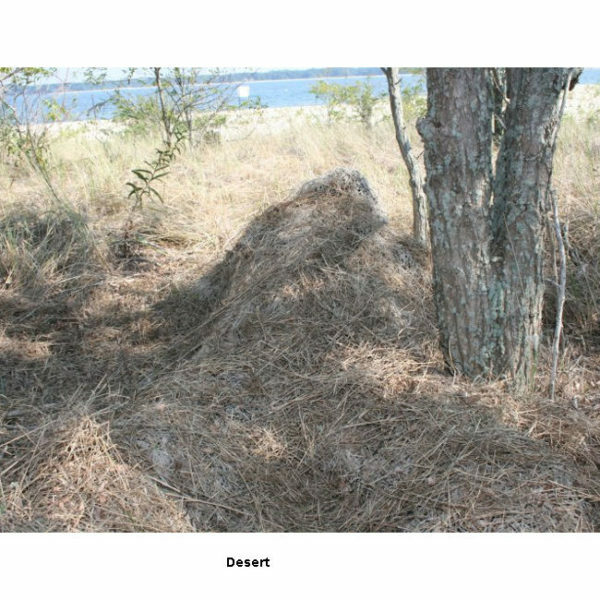 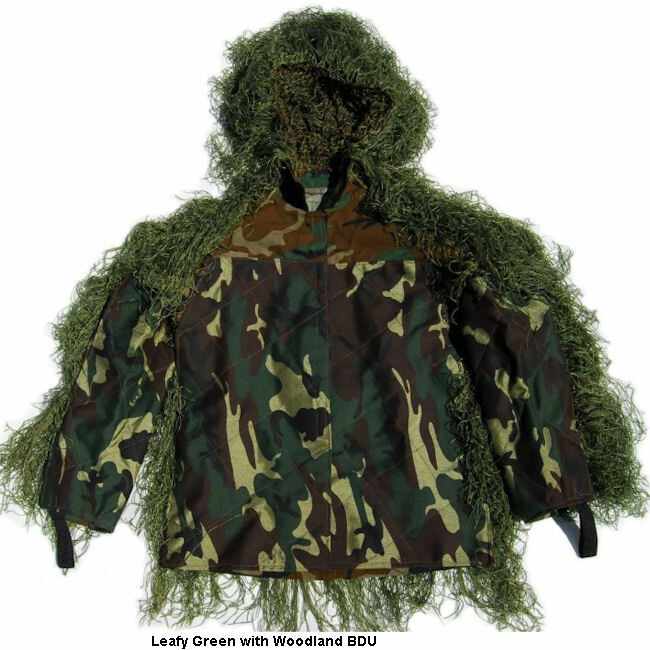 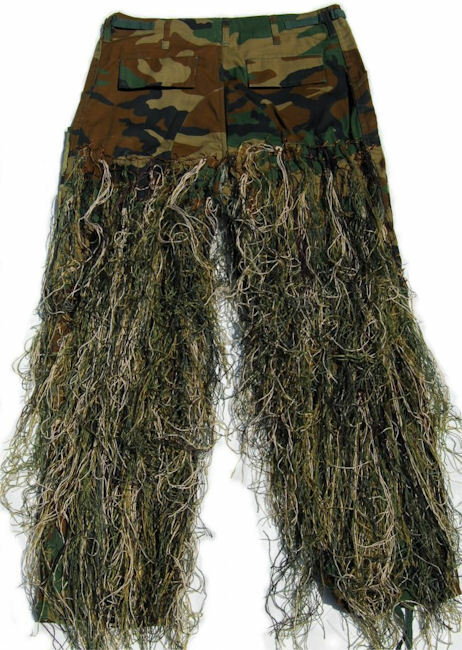 By using netting on the outside of the BDU Jacket, you can add natural vegetation while out in the field. 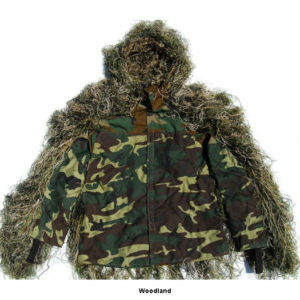 This allows you to change your pattern by adding leaves and other foliage. 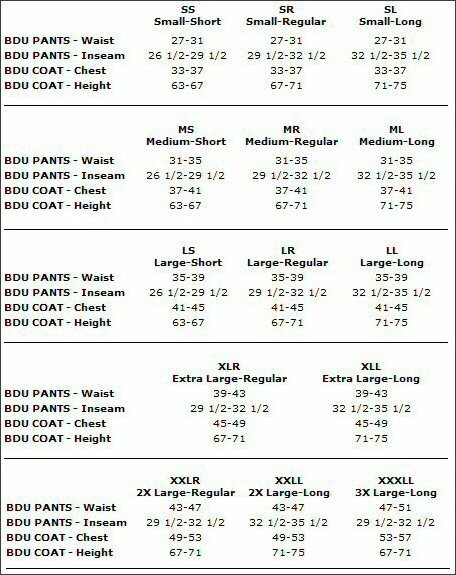 Actual weight for the Medium Regular jacket is 3 lbs. 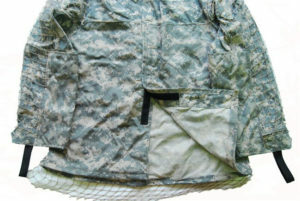 On the front of the pants, we sew a 1000 Denier Cordura Plus fabric. 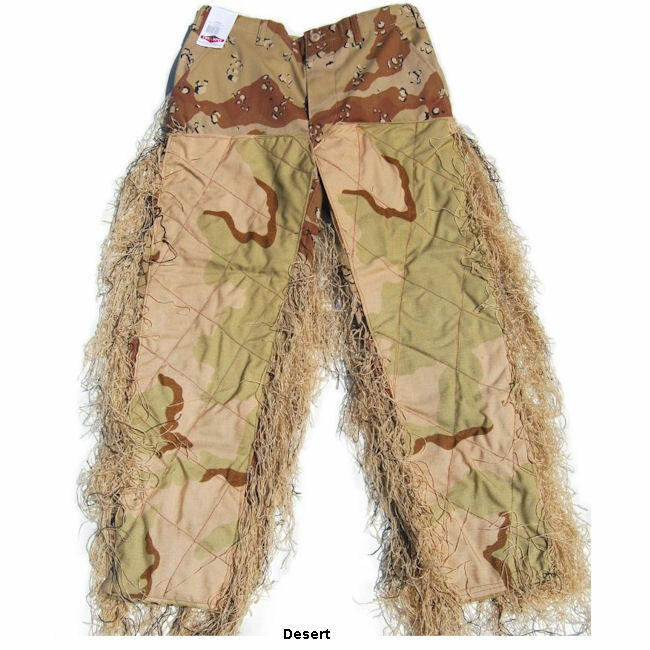 This allows you to slide and crawl on the ground over rocks and through mud with ease. 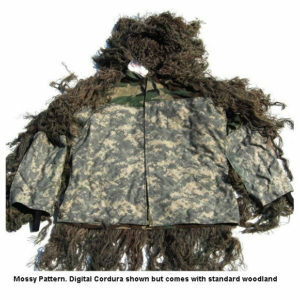 The Cordura has a urethane coating which makes the suit water-proof, so you won’t get soaked when crawling around in wet conditions. 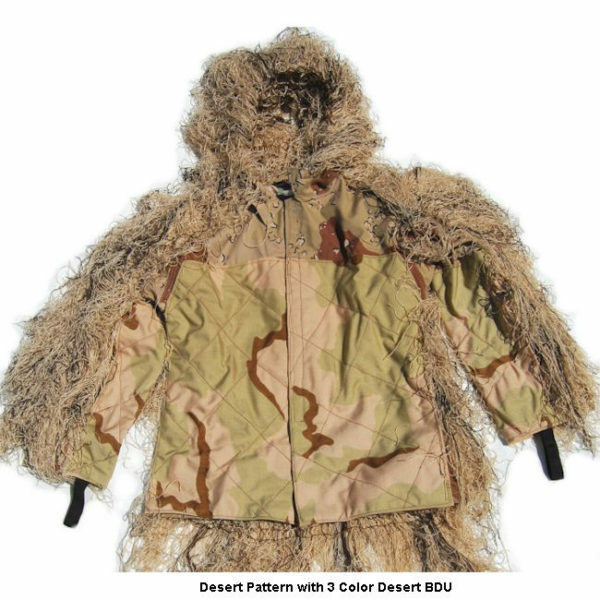 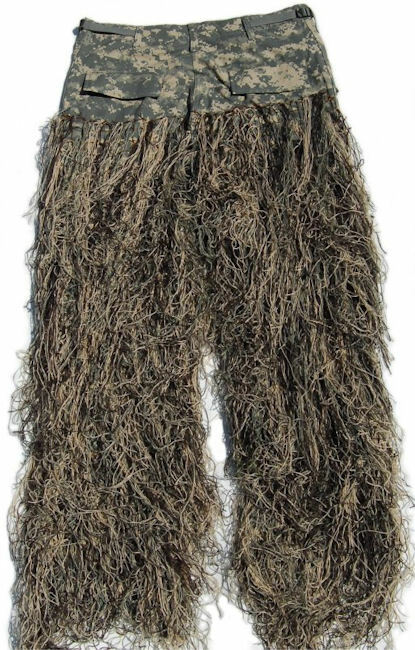 The 1000 Denier is also very abrasive resistant, so you can crawl over rocks and sticks with ease.